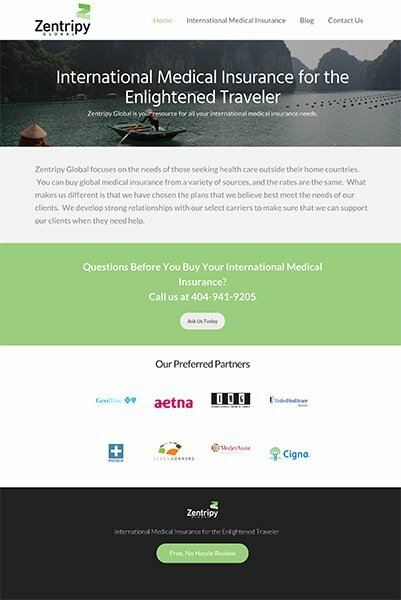 Zentripy Global is a travel medical insurance provider targeting individuals and groups traveling abroad. After discussing the project needs with the owner, the project focused on a quick turnaround, and a professional, clean look. 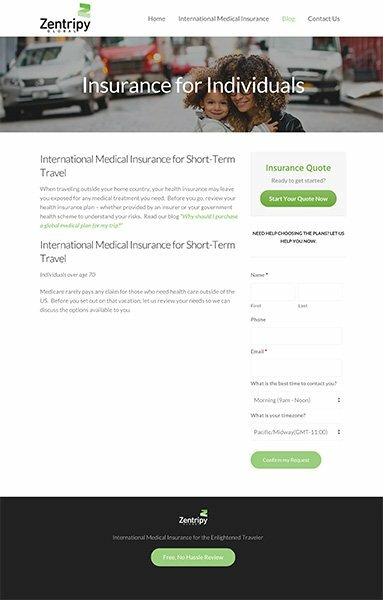 The site’s demographics are people who are in the discovery / decision process of buying travel insurance. 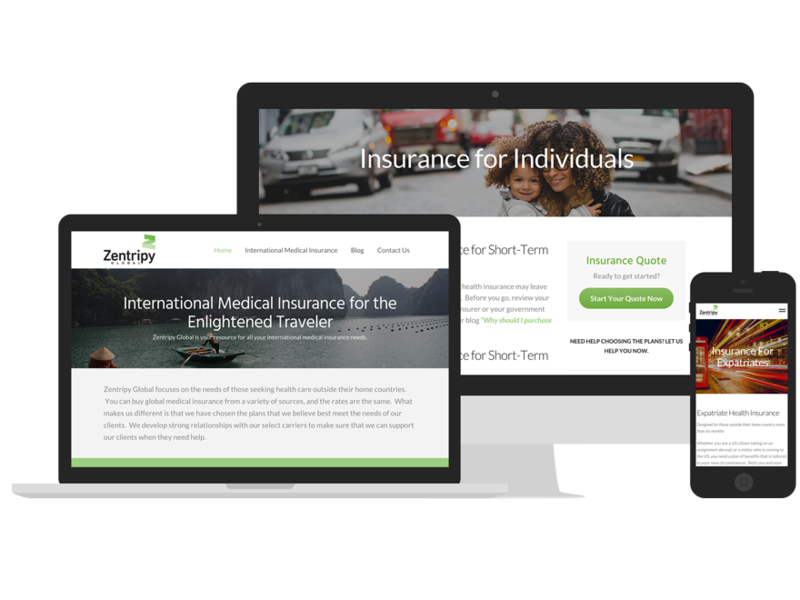 The design was chosen to allow for a comparable mobile experience that provided enough information for the visitor to make a decision: purchase insurance now or contact the owner for more information.